If any of the following conditions occurs, this indicates a malfunction of the SRS. 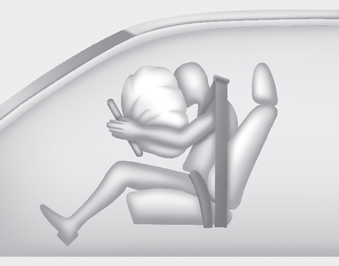 Have an authorized Kia dealer inspect the air bag system as soon as possible. Do not install or place any accessories on the steering wheel, instrument panel, or on the front passenger's panel above the glove box in a vehicle Such objects may become dangerous projectiles if the air bag deploys. Before you replace a fuse or disconnect a battery terminal, turn the ignition switch to the LOCK position and remove the ignition switch. 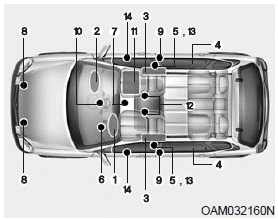 Never remove or replace the air bag related fuse(s) when the ignition switch is in the ON position. Failure to heed this warning will cause the SRS air bag warning light to illuminate.